The worship of saints has always been very common in South Tyrol. Figures of saints and patron saints served as a sign of practising Christianity. Over the centuries, ecclesiastical art has been devoted to the creation of statues of Christian saints, because they represent a consolation for many people who are sick or in need. The figures of these saints were, therefore, always much in demand. 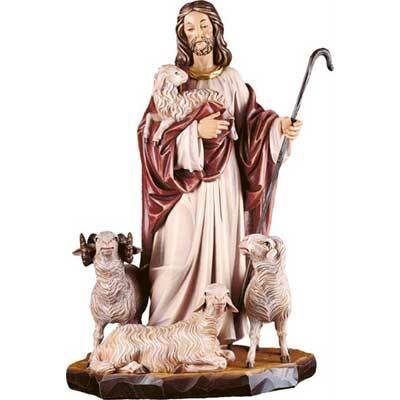 Statues of saints are also sold by Comploj Albert in various sizes with different finishes. The carved figures are painted with oil paints or decorated with a special stain. The beautiful woodcarvings that are produced in Val Gardena can even be seen and admired in many churches in Bavaria and Austria.